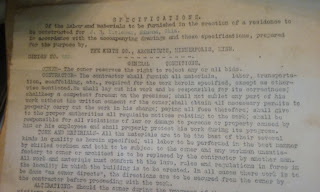 Thirteen years after the Unassigned Lands in Oklahoma were opened and settled, Banker James Kivlehen decided to build a house in the growing town of Edmond. 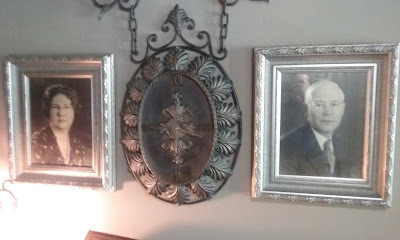 Two years into building it, on December 26, 1904, he married Mattie. Almost three years later, on December 3, 1907, they welcomed their only child, a daughter named Colleen. Over the years, Mr. Kivlehen took an active role in the community and local government. 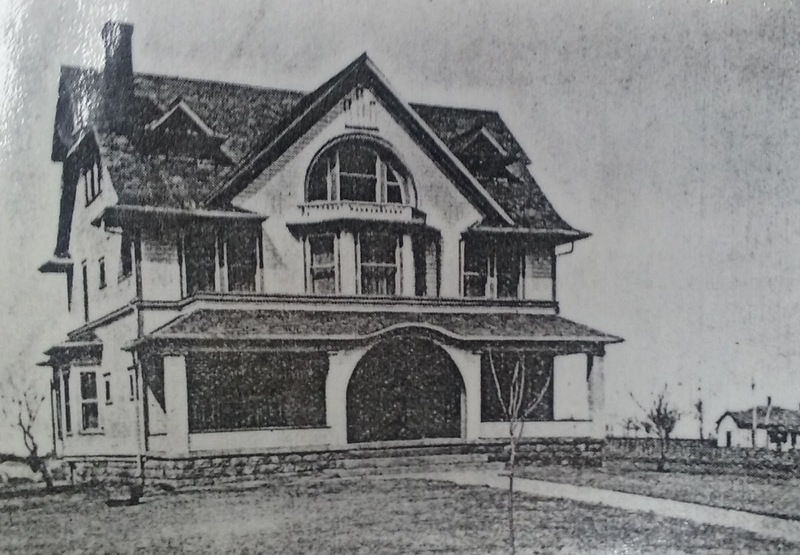 In 1917, he became the 16th postmaster, served as Edmond’s City Treasurer for 18 years, sat on the City Commissioner’s board, and the Chamber of Commerce. James also served as President of the, now UCO, Central State University Alumni Association. He died in his home in 1957. 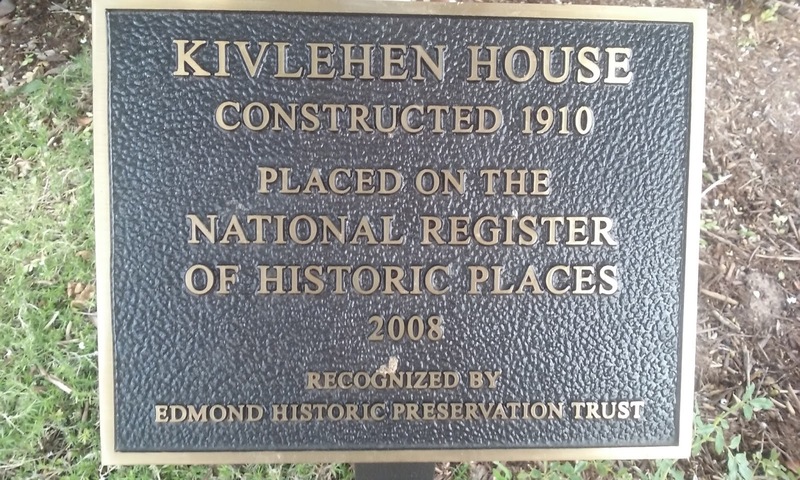 The Kivlehen house has seen many owner over the years. As with most stories, there is a dark period when the Kivlehen house devolved into serious disrepair. However, Mariana Lloyd and her son, Ben, had plans to change that. 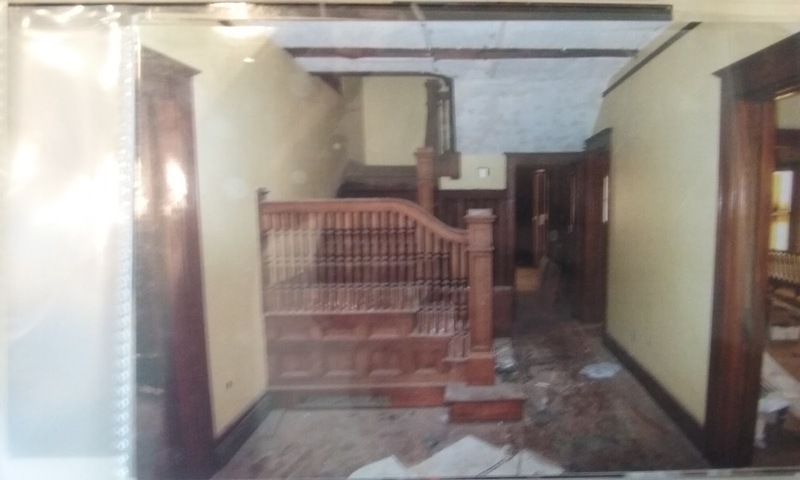 They purchased the house with the intent to restore it to its former glory and set up their real estate office inside it. 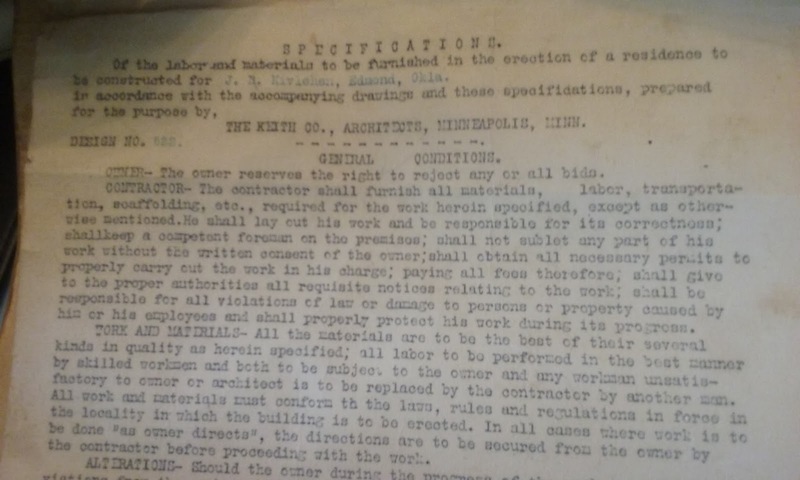 The original estimated cost to build the house back in the early 1900s was $5,000. The Lloyds purchased it for $175,000 in 2006, and over the next two years, spent $400,000 in restorations. Mariana described it as a “Labor of Love”. 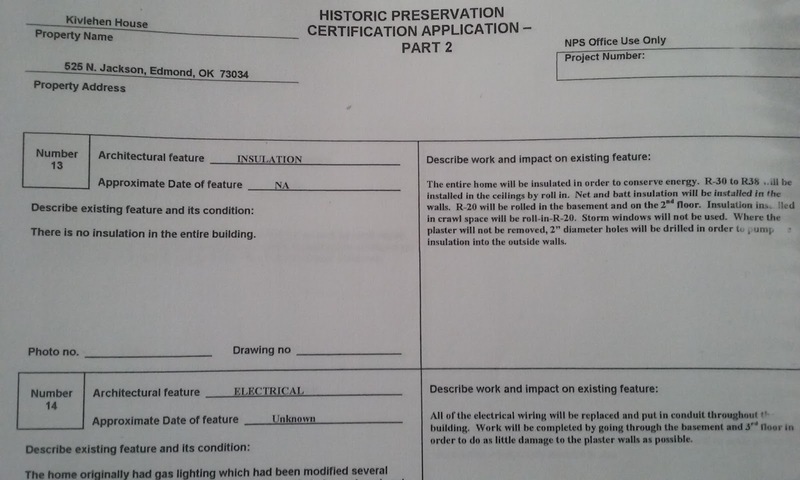 They also wanted it added to the National Register of Historic Places. Within the application, they had to include pictures with detailed descriptions of every big and little change they had done. Eleven pages, forty three subjects, approximately one hundred and twenty pictures, and two years later, the process had been completed. 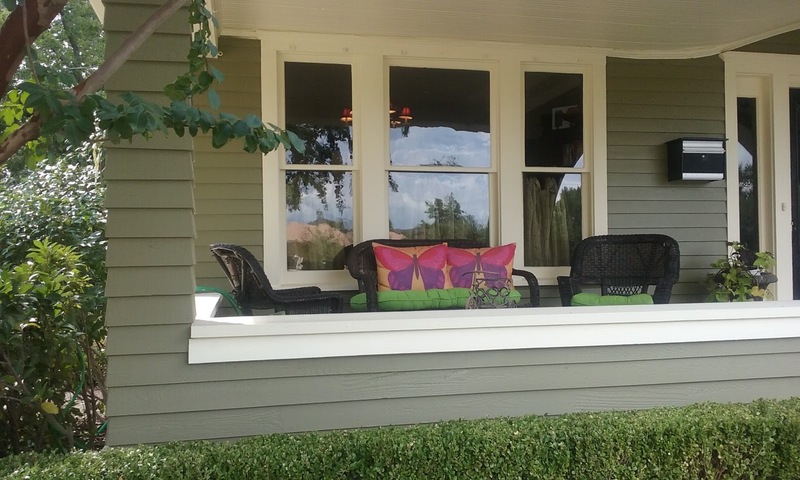 matched the windows as closely as possible to the originals. 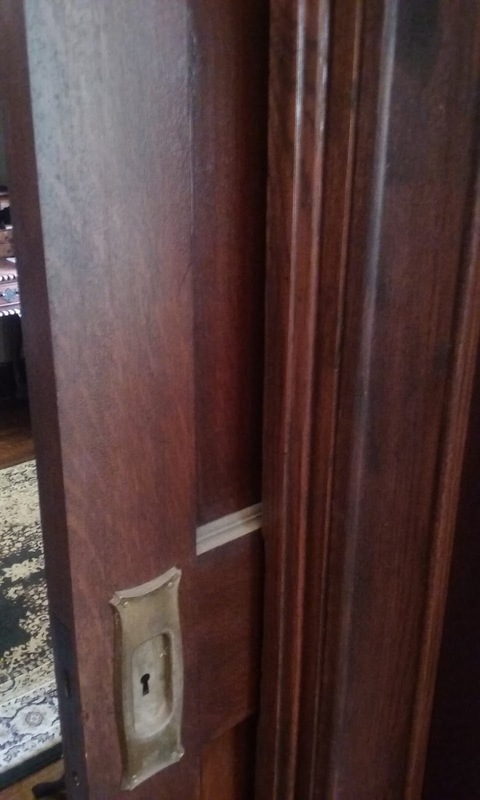 They were able to keep all of the original doors. The staircase in the main entry just needed sanding and polishing. 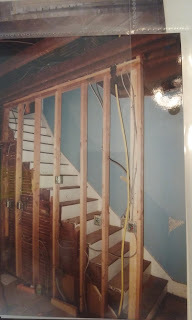 In the kitchen, a wall had been taken out to put in a railing for the back staircase during a past remodel, which turned out to be a support wall. The closet in the bedroom above the kitchen had shown the failure. 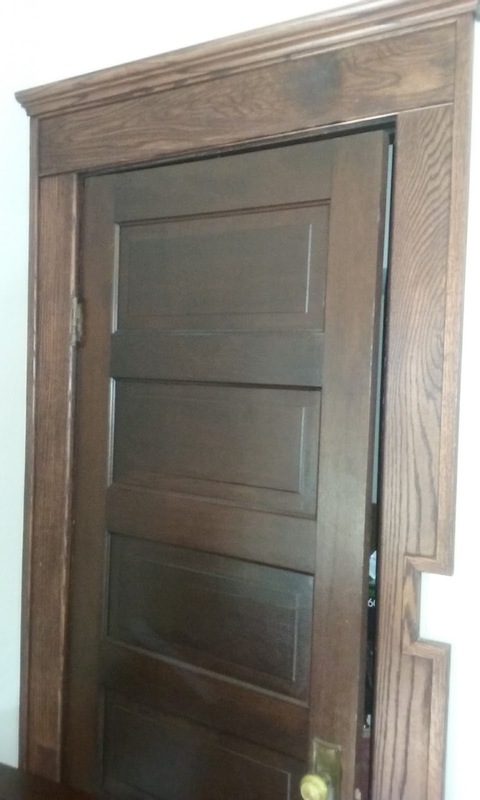 The closet door didn’t match with the frame. Although, they left it because they thought it was a funny example of the repairs, they did replace the supporting wall. 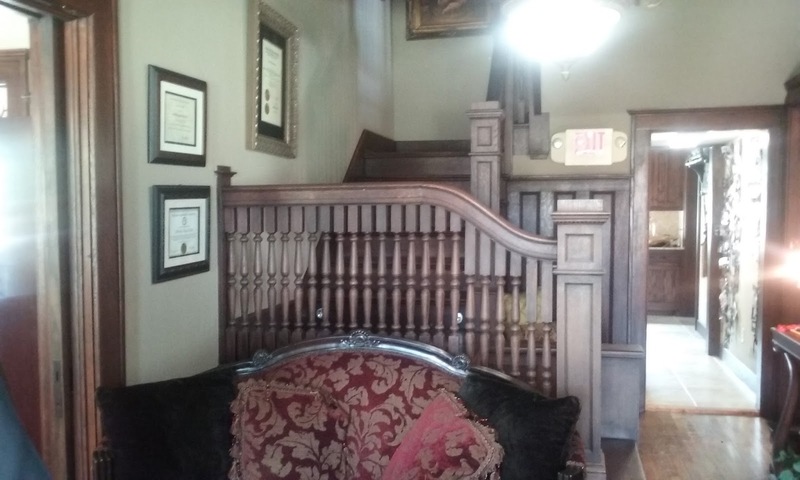 The back staircase is not used today because the stairs are too steep, according building code. 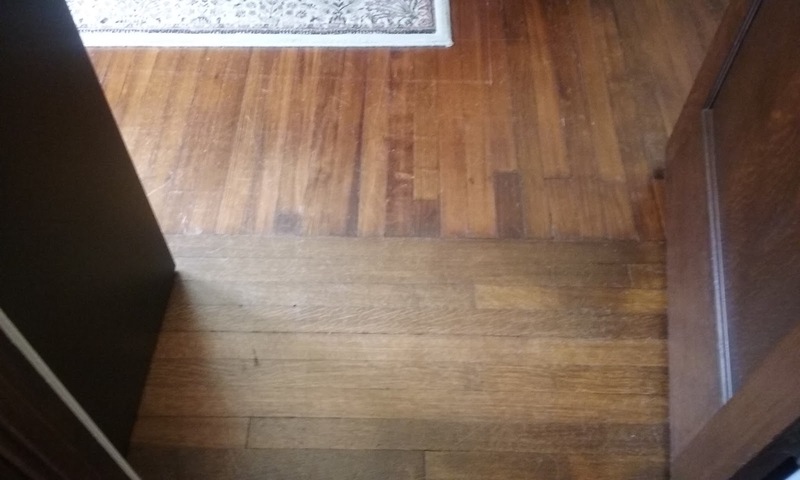 One interesting thing they discovered was related to the flooring. The outer part of all the rooms was made of pine while the center was oak. Pine was more costly than oak when the house was built. 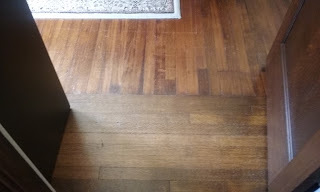 The family would cover the center of the floor with a rug to hide the less costly oak wood, leaving the pine exposed. the bleeding would stop," Ben said. 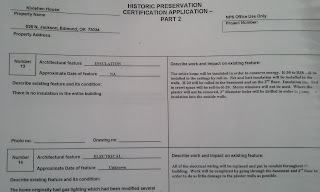 The city and National Register of Historic Places couldn’t agree with each other. 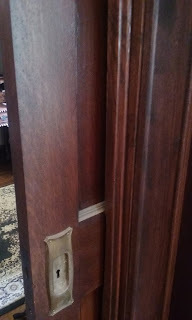 One issue was the pocket doors they strived to save. “The remodeling truly ended up being a Labor of Love,” Mariana said. The city wanted the pocket doors taken out for fire safety. In a compromise, Ben put stoppers into the tracks so the doors couldn’t be completely closed, but could be pulled out and shown. 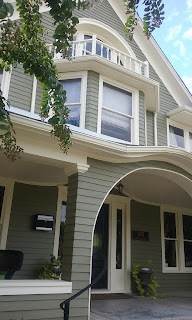 The Lloyds' most favorite part of the renovation was to see it finished. They moved their team into their new offices and have hosted countless tours of the historic home. Born and raised in the Edmond, OK area, Alanna Radle Rodriguez is the great, great, granddaughter of one of the first pioneers to help settle the area in what is now Seminole, Oklahoma. The fourth generation in a line of women in her family to be born in Indian Territory/Oklahoma, she has lived in her beloved state all her life. With her knowledge of surrounding area history, her heart relishes in volunteering at the Oklahoma Territorial Schoolhouse in Edmond. She lives with her husband and parents in the Edmond area, currently working on a historical romance set in pre-statehood Waterloo, Oklahoma. Thank you so much for reading! Glad you found it fascinating. Beautiful home! I'll need to drive by and take a closer look at k. Thanks for researching researching. Thanks, Terri! It really is pretty during Christmas. And you're welcome for the research. I'm one of the weird ones. I LOVE to research! Hi, John! Thank you so much for reading! Need to make sure that you come back next month on the 19th. It's a real special blog and one dear to my heart. 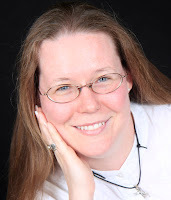 Might check out my other blogs too! i'd love to take a tour of this house. I'm really glad the Lloyd's restored it. You and me both, Vickie! It is a beautiful place to walk through! And go if you can! I think anyone who gets a tour will agree with you. 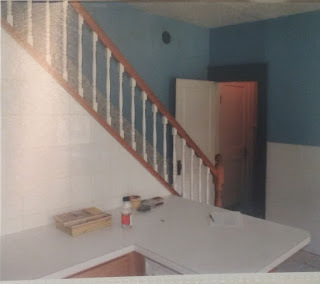 I know I enjoy the renovation. Thank you so much, Mariana, for allowing me to tell the story of your restored home/office! 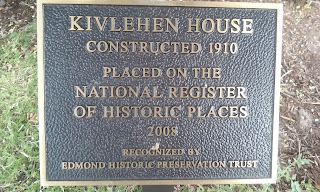 The Kivlehen House is beautiful with the renovations. Thank you for sharing the history and pictures. I would enjoy a tour some day of this historical place. Thank you. And you are more than welcome, Marilyn. If you are in town, go ahead and call and/or stop by. Mariana & Ben love to give tours!